To clean pearl buttons, rub with olive oil. Then apply fingernail polish and let it dry. Polish with a buffer or chamois skin. I don't know that I'd recommend the nail lacquer unless the buttons were already peeling or near peeling... But this does seem to explain old buttons I find which seem to be flaky but when rubbed show no damage because it's just old nail polish coming off. 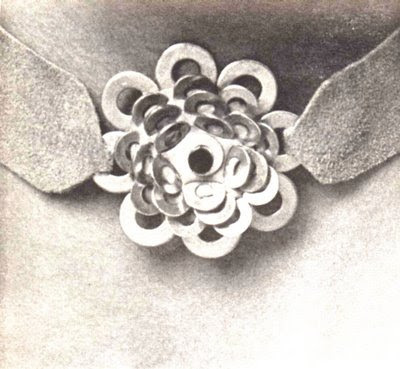 Related: I just posted at Collectors' Quest an article on how to select vintage jewelery -- including what repairs can be done. Also there, my Early Plastics: Identification and Care Guide. 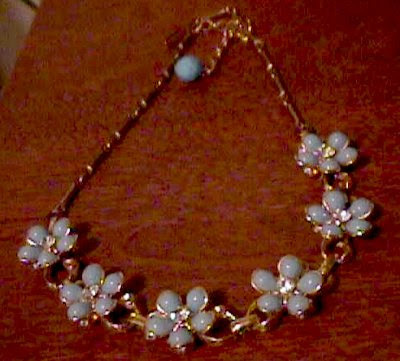 Image of the vintage daisy necklace with blue plastic and rhinestones via my shop, We Have Your Collectibles. I don't like eggnog; never have. Hubby and the kids do though, so we always have to buy gallons of it. Every year they say to buy a lot of it because it's the only time of the year it's available -- and every year they swear they'll finish it too. But guess what's left in the back of the fridge once the novelty wears off? Yup, eggnog. I can't -- won't -- drink it. But I hate pouring it down the drain too... What to do? Well, thanks to Rachel at Robust Cooking I can now make cookies with it. And I love cookies. 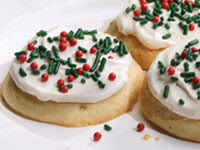 Rachel posted about Lehigh Valley Dairy Farms' recipe for Easy Egg Nog Cookies. 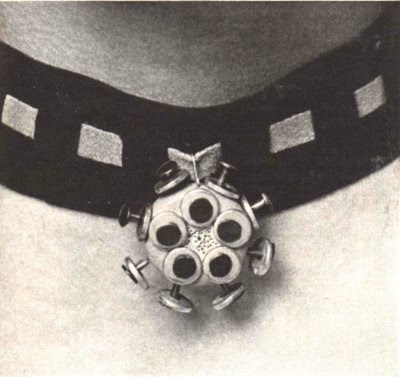 From the McCall's Needlework & Crafts magazine (Spring/Summer, 1971, issue), comes the instructions to make these hardware chokers. While I find making gifts can sometimes be as (if not more) expensive than buying gifts, these chokers are worth sharing for several reasons. 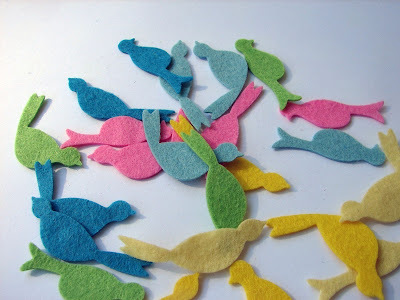 One, since they can be made with objects found around the house (in lieu of suede you could opt for other fabric strips), they should be relatively inexpensive; and if you make the gifts together as a family activity, a little extra expense can be seen as a family entertainment expense. 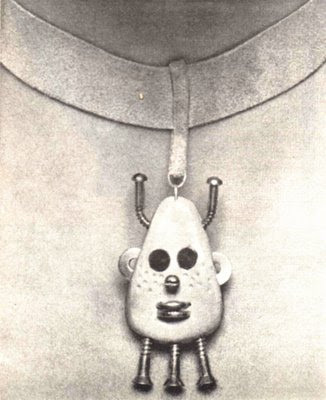 And two, since these necklaces are made with hardware, this craft project is one which may be of more interest to boys. 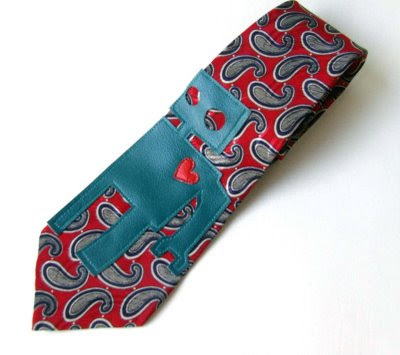 You could also modify the project, replacing the fabric strips with findings for key rings etc., to make more masculine gifts. Complete instructions available in the last scan. Growing up, I was always told to never, ever, rinse or scrape greasy skillets and pans into the sink and down the drain -- you'll clog the pipes! You're to scrape them clean first and then rinse them with hot-hot water to make sure to avoid clogs. But as many a good (and economical) cook knows, you don't scrape that bacon grease into the garbage can either; you save it for some savory cookin'. 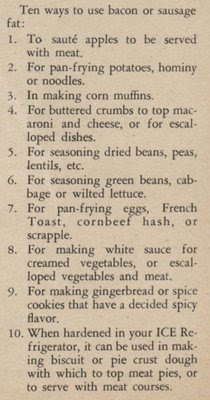 First the 'how' and then the cooking ideas. When done frying the bacon, take the skillet off the heat & wait for it to cool -- really cool. Hot grease splatters are no fun at all. When you are certain the grease is room temperature (it's hardened), scoop into a glass container, a coffee can, or plastic container. (And yes, scrape that skillet -- those bits of bacon in the grease are 'gold' as far as flavor goes!) Then cover the container and place in the fridge. It may not look like much in the container at first (either in terms of amount or appeal), but eventually it not only adds up, but adds a nice flavor to foods. Note: when using bacon grease do not add any additional salt while cooking or baking. Now here's 13 ways to use that bacon grease. 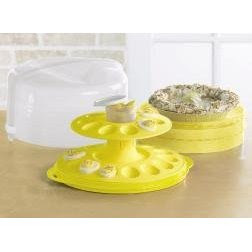 12) Use it to grease your muffin tins for corn muffins, the baking sheet for biscuits, etc. Have your own recipes or ways to use bacon grease? Please share them in the comments! 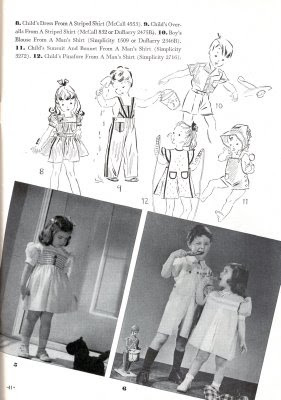 In How To Dress Well On Practically Nothing, the author of the blog Couture Allure Vintage Fashion discusses a regular dressing on a budget feature in Ladies Home Journal -- specifically the column which ran in the October 1959 issue. The focus here is on investing in practical but versatile basics that you can accent in different ways with accessories. Mollie's coat wardrobe is complete with one tweed for everyday, a white dressier version, and an evening wrap. How many coats are in your closet? How many dollars have you invested in trendy styles, inexpensive fabrics, or unusual colors that don't work for everyday? Isn't it wiser in today's economy to spend more money on one practical coat in a high quality fabric and basic color that can be worn for years? A change of accessories changes the look in a few seconds. Our mothers and grandmothers got along with far less clothing than we do today. Each piece of clothing was a carefully considered investment that was meant to last for several years, not several months. This echoes the sentiments of my father, who always sighed (and argued and mocked) my mother's clothing purchases. He was (and still is) an advocate of building a wardrobe, not just buying garments because they were 'cute' or otherwise desirable -- or even on sale. When mom would reply with her total, he'd point out how she could have done better. For that amount -- no matter what the amount -- not only could she have had a better quality sweater, suit, etc., but one which was more practical too. And it was true. For nearly every bargain $9.99 sweater she 'saved' $10 or more on, she had to run back to the mall for a skirt or jacket or slacks which would match it; it was no wardrobe item, but just a piece of clothing. And she had more sweaters in her dresser drawers (and boxes slid beneath the bed) than she could wear in two Midwestern winters. For a $50 shopping spree of, for example, say 4 items at a 'savings' of another $50, she could have had one nice sweater, skirt, blazer etc. which would last her for years. Mom still hasn't learned this. She still buys 'cute things at bargain prices' without thinking of building a wardrobe which will serve her -- or her budget -- well. But me? I know better. While at the produce counter, you can tell whether a zucchini or a Hawaiian-grown papaya are genetically engineered or organic by employing this little-known strategy: Look at the code printed on the tiny sticker stuck on the produce. If the PLU code begins with the number 9, it’s organic. Conventionally grown fruits and vegetables bear a code beginning with 4. If the code begins with an 8, the produce is genetically engineered—making this the only genetic engineering label in the United States. While this numbering system is handy for ensuring that you picked up organic fruit instead of the conventional variety, it’s unlikely that you’ll pick up a piece of genetically engineered produce. Very few varieties are sold. Ah, of such things our grandmothers could not have known. 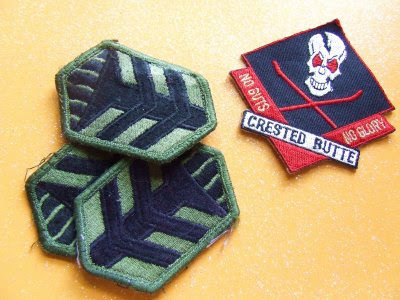 Need help sewing patches and appliques onto jeans? 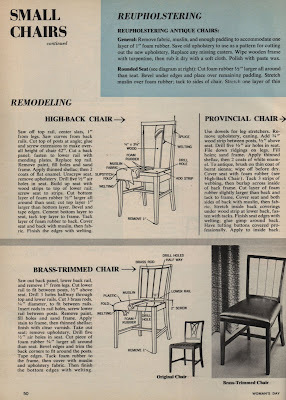 In Your Hint Exchange, (Eleanor Spencer, McCall's Needlework & Crafts, Spring-Summer 1971), the advice for mending jeans & slacks with small legs is to insert a rolled-up magazine into the leg, then unroll it making it easier to fit, pin & sew neat patches. 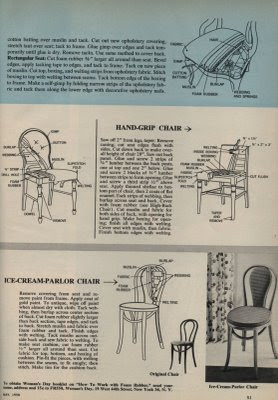 In Household Ideas: Prize Hints for the Homemaker (Modern Woman Magazine, Vol. 14, No. 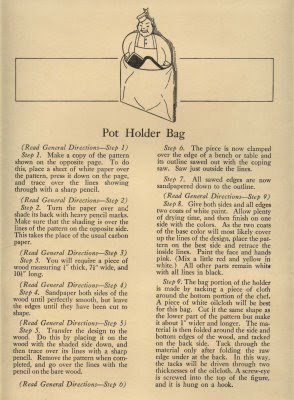 5, 1945), the suggestion is to open the pant leg at the seams so that the fabric will lay flat. 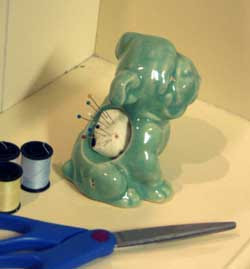 Mend &/or patch, then restitch the seam on the sewing machine. 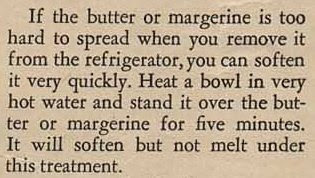 Another vintage household tip, this from Modern Woman, Vol 14, No 5, 1945. When you buy macaroni, dried beans, peas, rice, etc., take out 2 tablespoons and put in a separate jar. When you are ready to make soups, you can use this mixture without having to buy a lot of separate items, requiring too many points. 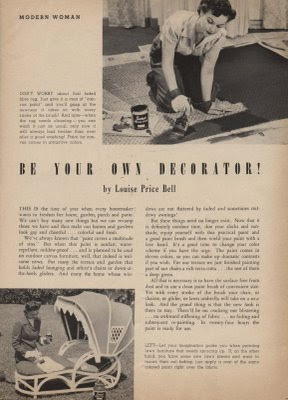 When I spotted this article by Louise Price Bell in Modern Woman (Vol 12, No 4, 1943), I was tempted to save it for posting in spring because it's about painting garden, porch & patio furniture and rugs. But then I realized that painting techniques like this offer cheaper alternatives to reupholstering chairs & having new carpeting or other floor coverings installed to easily spruce up the place for holiday gatherings and knew I had to share it now. Frankly, the article on "canvas paint" rather blew my mind. I knew of fabric paints for making crafty tee-shirts & canvas shoes, but I had no idea there were paints sturdy enough for more rugged action. 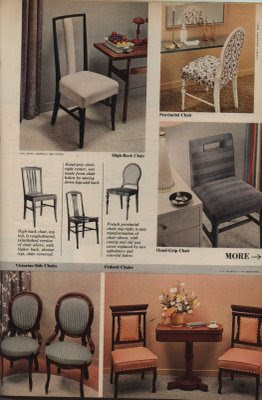 While I couldn't find the exact product (Setfast), I did find several DIY sites which recommended those same fabric paints as well as latex -- and there's even a spray upholstery paint. Hate The Fabric Colour? Just Paint It!, says the Ikea Hacker. Some basics are at eHow's (How To Paint A Sisal Rug), Real Simple (Makeover Your Rugs with Paint), and Curbly (How To Paint An Indoor-Outdoor Rug). At TLC, Jeff Beneke's Paint The Rug, Or Not discusses which carpet may or may not be suitable to paint. Deviled eggs are one of my favorite things to make (and eat), but I don't have a recipe. 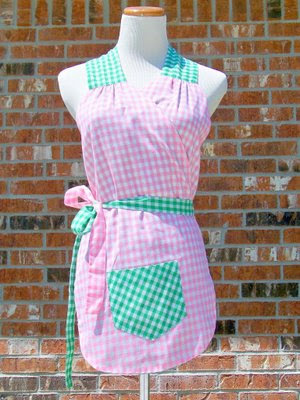 Like how to fold towels, the instructions for making deviled eggs was never egg-zactly written down. These things weren't taught, but rather learned through the osmosis of watching & then doing. Because once upon a time, Virginia, we girls used to love to spend time with our moms, aunts, and grandmoms. 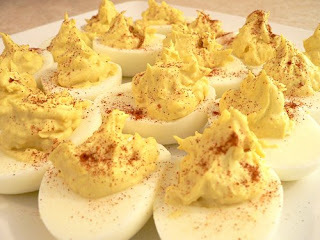 Once we learned how grandma & mom made their deviled eggs, we then tweaked the recipe to suit our own personal tastes. (Such recipe tweaking, in all likelihood, has probably returned a fair share of recipes back to their original form). Anywho, the result is that I don't have a recipe for deviled eggs; I just make them. A lot of them. Now that the eldest daughter has moved out, she wants my deviled egg recipe. First I mocked her for not shadowing me more; and then I set out to see just what sort of a recipe I could create. 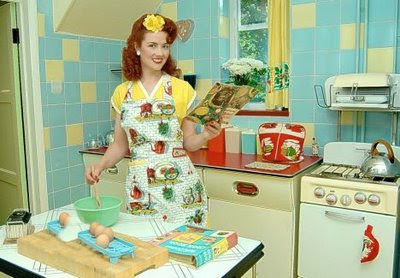 Unlike many things here at Things Your Grandmother Knew, my recipe isn't completely from scratch. I not only do not make my own mayonnaise, but use Miracle Whip (for some reason, I think all mayo tastes 'bad' -- as in spoiled -- especially Hellmann's). Then I add Coleman's dry mustard, mixed in to taste; never measured, just tapped in, tasted, and repeated if necessary. After awhile the wrist flicks & the finger taps the perfect amount. You do it as casually, automatically & without thinking of it, as boiling water. Come to think of it, do I need to write down the boiling eggs part for this recipe? Recipe writing is much harder than I thought. Since this is a terrible recipe to send to someone, I searched and found this deviled egg recipe to send to my daughter (which is also where the delicious photo is from too). 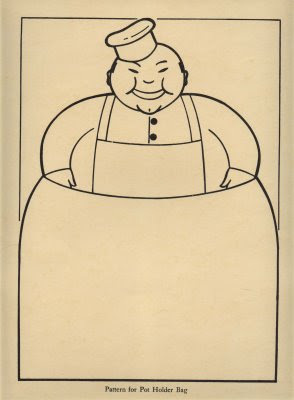 What recipes, household skills etc. do you 'just do'? What have you learned from grandmas, aunties and moms that was never written down? And are your children learning these things from you too -- or are you too discovering that you're having to instruct & write down what was otherwise an observed tradition? 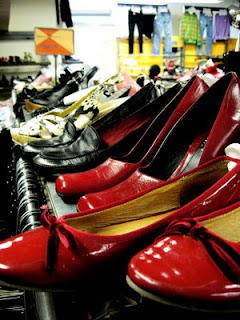 Frugal home economics means thrift shopping, including for shoes. As noted at the Columbia News Service, you can get very expensive shoes & unique vintage styles too -- both in excellent wearable conditions, if you know what you are looking for at thrift stores. Jaynie Van Roe has an excellent guide to buying vintage shoes, including info on shoe repairs (general repair prices, what's worth it and what's not). Image of thrift store shoes via Molly Vance on Flickr. Many of us use the microwave to soften sticks of butter to set on the table, but then we usually end up with uneven, inconsistent results. Not only are sections still hard but the butter or margarine has melted to liquid, oozing out onto the butter dish -- sometimes pooling into the little 'dip' or lip where the butter dish lid nestles. Not only is this less attractive on your table but few reach for such butter deposits with their butter knives, resulting in waste. If you don't want to waste water (and the energy to heat it), you can also warm a glass bowl in the microwave or the oven, if you're already using it, and then dome the warm bowl over the stick of butter. Less mess means a prettier holiday table and less waste. 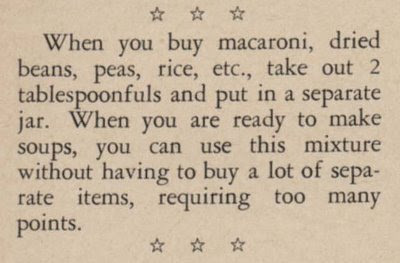 Tip found in Household Ideas: Prize Hints for the Homemaker in Modern Woman Magazine. It's really tempting when walking down the isles of Rubbermaid and other organizational bins at Target and start thinking your life would be less cluttered (and yourself more efficient) if you just bought a thousand dollars worth of plastic storage bins. But chances are neither will happen -- and you'll have shelled out a thousand bucks too. The practical thing to do is to use what you have. 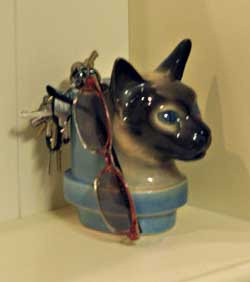 One thing a lot of vintage lovers, packrats & collectors have are an abundance of those cute little decorative pottery planters. They may be vintage pieces too cheap to pass up at yard sales & thrift shops, or they may have been gifts given to you when you were blessed with new babies or moved to a new home; but we all have them. Putting them to use clears up clutter times two -- they aren't a jumble of things sitting about, and they hold other clutter. 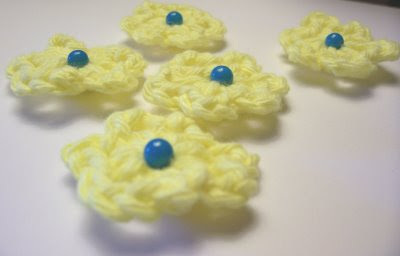 I've written a guide to how to put them to use in practical ways, including turning them into pin cushions. 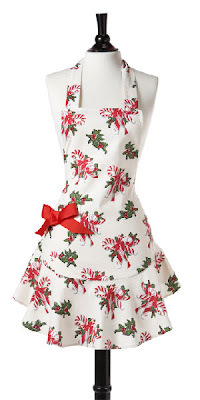 They can be quite the incentive to a teen girl to keep her room more organized and they also make great gifts for housewarmings, birthdays, and holidays too. In fact, you may find yourself running out of cute little ceramic planters. Don't worry, your local thrift store will have plenty more; and at those prices, you can snap up quite a few. 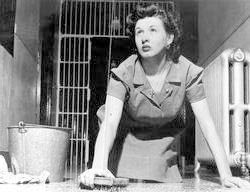 My grandmother taught my mom, who then taught me, that the best only way to really clean a floor was to get on your hands and knees and scrub it. When I worked briefly as a Merry Maid, that was part of the training too. They were thrilled to discover I'd already been doing that for years because so many of the young girls were convinced that a mop was equal to the task. Some argued that not only was it more convenient but with several mop cleanings during the week, it was more efficient. But it's not a debatable point at Merry Maids -- or in my home. When you get on your hands & knees and scrub, not only do you see every spot & hair on the floor, but working at that level you automatically see (and then clean) the baseboards, bottom edges of the cabinets etc. And when you stick your (gloved if you prefer) hands in the water, you are much more aware of when you need a fresh bucket of soapy water. Mops are for spills, and quick passes of where the muddy dogs ran in. It may seem contrary to those who have grown up with the bucket & mop, but scrubbing floors on your hands & knees is more efficient and economical too. Not only do you clean better but you give yourself a great upper body work out as well. Every single girl who worked as a Merry Maid discovered their arms, chests and even their legs firmed up as a result of scrubbing floors the old fashioned way. And so I submit to you, dear reader, just another reason why grandma never would have dreamed of paying for a gym membership. 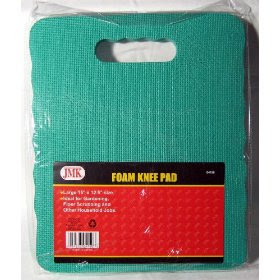 Some prefer the modern strap-on kneepads, but I prefer the good old fashioned rectangle kneepads. They are easier to clean, so you can use them in the garden too. And, because they are truly one-size-fits all, your kids -- no matter what size -- can use it too. You should be teaching your kids how to properly clean; it's something they should be learning. 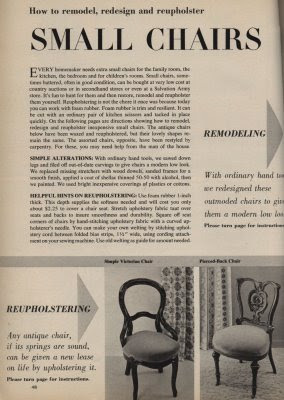 Another old tip (from Household Ideas: Prize Hints for the Homemaker in Modern Woman Magazine), is one we all know, but likely haven't used since the 70's when it was cool to cover & patch holes in your jeans. Ever since the acid-wash-80's, when as a culture we abandoned physical labor and the look of hard work and a rugged sense of poverty was seen as anti-establishment, holes in your jeans have been cool. 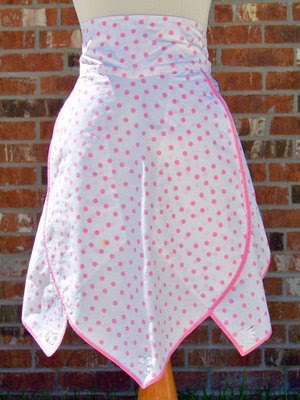 But if you find holes, stains and worn spots anything but cool, why not do as grandma did and save the garment from the rag-bag (and yourself from embarrassment) by sewing on an applique? Even if you have to buy appliques, they are cheaper than replacing a dress, a pair of jeans, or even a tee-shirt. 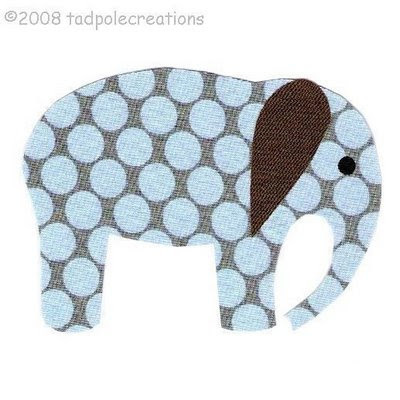 Appliques can be found in a wide variety of style, themes and designs. 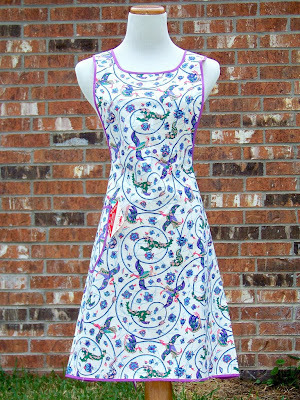 A new set of appliques can take something from frumpy to fantastic. 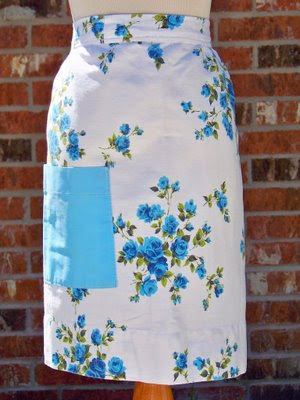 Including personalizing & updating used clothing purchased at thrift stores. Don't forget, appliques and patches can also be removed from worn & outgrown clothing -- so be sure to snip & save them before tossing the clothes into the rag-bag! Extolling the virtues of foam rubber, a four page how-to feature in the May, 1958, issue of Woman's Day magazine. The credit crunch, a knife crime epidemic - no wonder so many of us are sick of the 21st century. Most of us just grumble, but some women have taken radical action to escape what they see as the soulless grind of modern life. Meet the 'Time Warp Wives', who believe that life, especially marriage, was far more straightforward in the Thirties, Forties and Fifties. 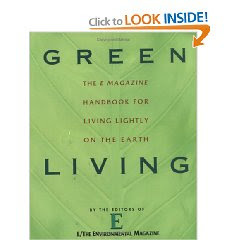 Here are a few pages (scanned by Cemetarian) from the booklet which focus on recycling and reusing clothing. Turn his shirts into kids clothes. 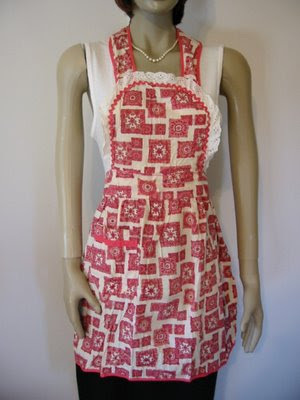 How to make a jerkin, a Jumper, a playsuit & a Bathing Suit -- each from a dress. 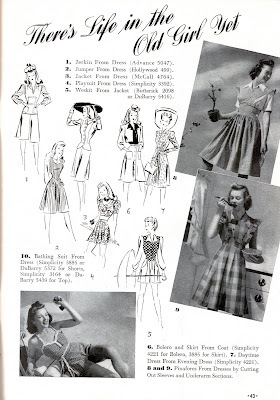 If you're thrifty and nifty with a needle, use these pages for inspiration and, if needed, for the vintage patterns listed. Broken glass is still a problem in every home today. It's especially a problem in homes where toddlers live as their tiny feet are nearly always bare and their tender fingers explore everywhere. Brooms often miss many slivers of broken glass; using a towel or sponge means you'll need to throw it away in order to avoid future cuts. And if you've ever tried using something more disposable, such as damp paper towels, you know it's very easy to get cut that way -- and larger pieces of glass are too heavy for the paper toweling to pick up. The stickiness of the bread combined with its porous surface really grabs the shards of glass -- and because bread slices are thicker than paper toweling, you aren't as likely to be cut during clean-up. Disposal is easy -- and less expensive than replacing sponges or towels.